I recently had the opportunity to try a Craftsy class for free (make sure to read all the way to the bottom of the post for your chance to win a free Craftsy class). I chose Pattern-Free Quiltmaking with Joe Cunningham. I have really been itching to make a quilt lately. I don't know why exactly. I think perhaps I was craving the regularity of the process of cutting the pieces and sewing them together, and doing the same steps over and over again. Also I enjoy watching the small pieces join together into larger and larger pieces until you have a whole quilt. I was drawn to Pattern-Free Quiltmaking because I prefer a more modern look in my quilt and I really liked the idea of using a process to make a quilt rather than a pattern. When you use a process to make a quilt you can get started cutting and sewing right away without all the planning that would be required to make a quilt from a pattern. That appeals to me because I am impatient and like to see the results of my efforts immediately. In the class Joe Cunningham describes several processes that you can follow to make a quilt as well as a suggestion for creating your own process. The class made me think about quilt making in a different way than I had been accustomed to, which was kind of exciting. Some of the processes Joe describes in the class can result in a very busy-looking quilt, while I find that I prefer a more clean look, but he also discusses ways to "manage the crazy" and, obviously, choice of fabric will have a lot of impact on how the quilt looks in the end. One of the fun things about pattern-free quiltmaking is that, rather than doing all the creative work up front when you design the pattern and then just robotic-ly assembling the quilt according to your pattern, you get to be creative throughout the process. One of the best parts of the process of making this quilt was taking all my blocks and arranging them until they seemed right to me. Joe suggests using some kind of organizing principle in arranging your blocks rather than just laying them down randomly. My organizing principle for this quilt was that one of the "patches" in each block should line up exactly with a matching patch in a neighboring block. This enhances the effect of this quilt which is to sort of blur the lines of the four patches so that you can't really tell where one ends and the next one starts. 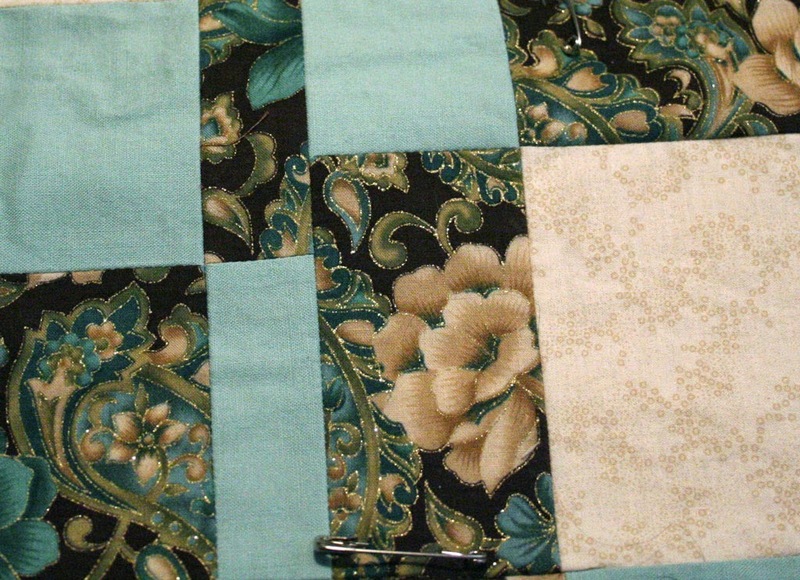 The quilt can be made with just two fabrics, and my main fabrics were the dark paisley flower print and the aqua solid, but I threw in a couple other complementary colors for variety. You can't tell in the large shot above, but the paisley print fabric has these sparkly gold threads in it that really add a rich look to the fabric. 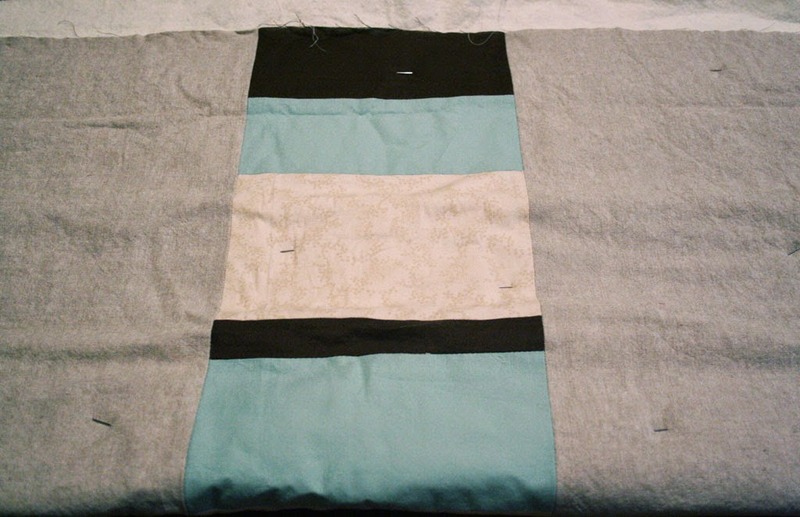 I used a linen for the back with a strip of various widths of the solids I used in the quilt running down the middle. 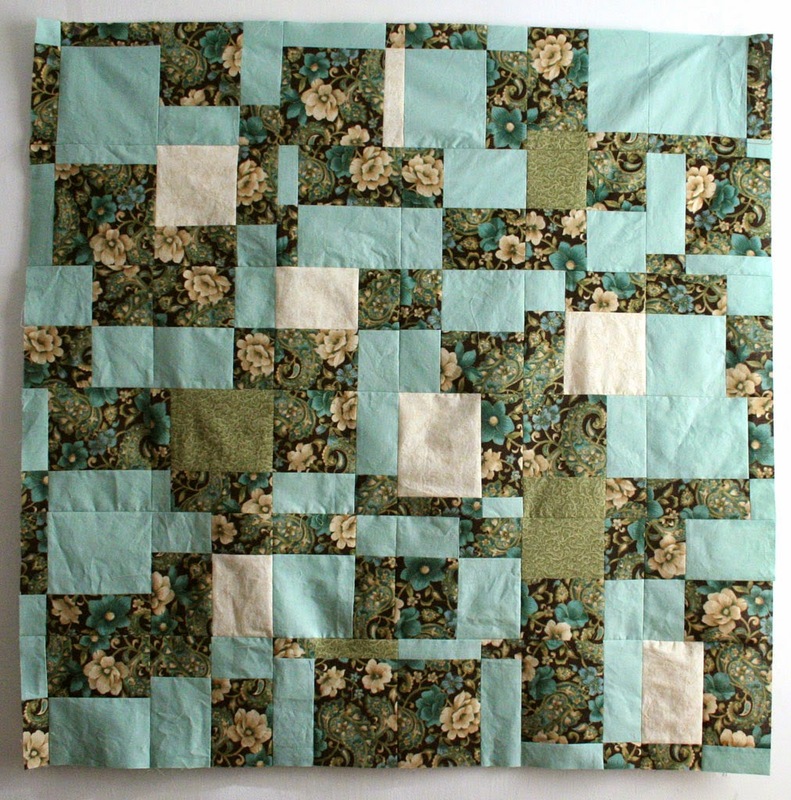 If the idea of pattern-free quiltmaking appeals to you I would definitely recommend this class. The instructor, Joe, has a very friendly and somewhat irreverent manner which I found very engaging. He also doesn't subscribe to the idea that there is only one right way to do anything, which is kind of freeing. If this isn't your kind of thing, Craftsy actually has 69 different quilting classes, as well as 61 sewing classes, 53 knitting classes, 15 photography classes, and many more! Whatever you like to make Craftsy has a class for it. They even have some free classes. 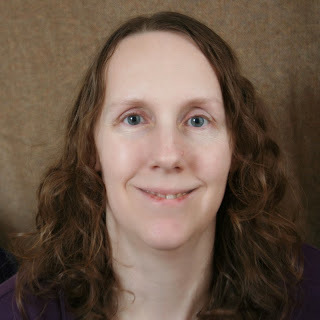 I recently watched the free Pictures to Pixel Quilts class and I was really impressed - it is a full class on how to turn a picture into a pixel quilt, something I definitely have to try now! Mastering Zipper Techniques is another free class with detailed instructions on various techniques for inserting zippers into garments. I also wanted to note that Craftsy has an app that allows you to watch your Craftsy classes on your iPad or iPhone. Recently they have added an offline mode to their app which allows you to download classes to watch when you are not connected to the internet. This has made taking Craftsy classes so much more convenient for me. I can now watch my classes during my train ride to work. Now is your chance to win a free Craftsy class! One lucky reader of my site will win a free Craftsy class of their choice. To enter just click here. If you don't have an account with Craftsy you will need to register. You can enter now through April 14. Thanks! There are a lot of different classes on Craftsy for whatever you like to make. I have so many on my wishlist!